Ice Skating at Webbs of Wychbold. Way back in February when we first visited The Eden Project in Cornwall, JR watched with enthusiasm the people who were ice skating at the rink. He really wanted to have a go, but it was a bit outside of our budget although I did promise him that I would take him one day. 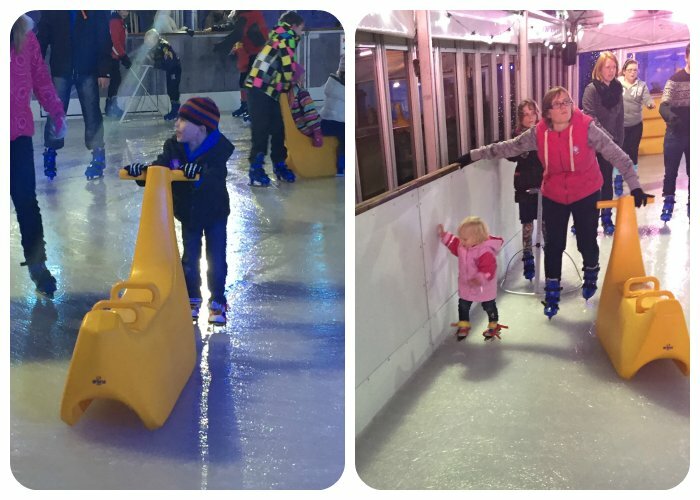 Well he’s had a bit of a wait but on wednesday thanks to Webbs Garden Centre JR’s wish came true when we surprised him with an evening Ice Skate. 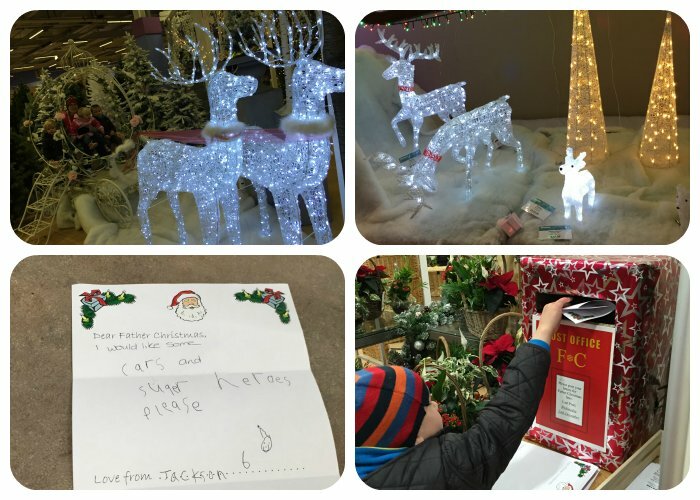 We were booked into the 6pm skate slot but arrived early so we had a look around the store and took the time to show the tiny 3 the christmas lights that were on display in the store. The tiny 3 also wrote and posted letters to santa with the promise of getting a reply. Once it was time to collect our skates, we told the boys what we would be doing, they were a bit apprehensive at 1st but as soon as they’d received their bob skates and had them fitted over their shoes they became very excited. I had never been Ice skating before and Mr M&TTT hadn’t been for many years so we decided it would be best to get a couple of the banana skate aids even if it was just so the tiny 3 could sit down. They are £4.50 each to hire, but truly were needed. The Staff were really lovely and helpful, both on and off the ice, and although we didn’t need any assistance I noticed that the on ice staff were very quick to help anyone who needed it. 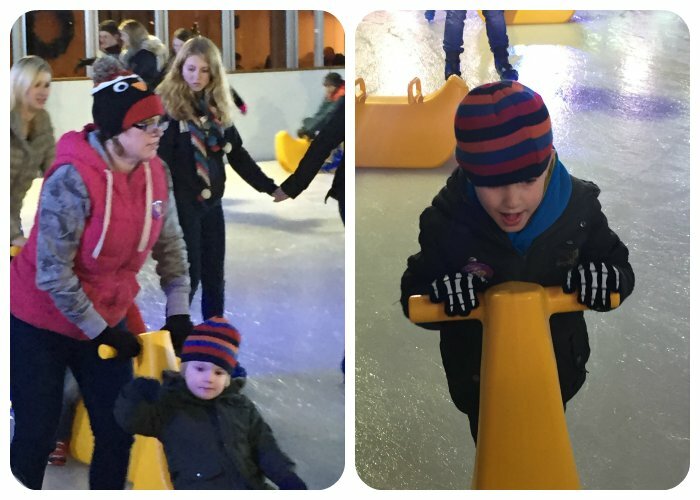 The rink itself is made of real ice and is in a lovely outdoor setting, and had a great family feel to it, it gave the tiny 3 a lot of confidence to try and skate themselves. Adult: Persons aged 15 and older, including students, adults and OAPs. Child: Persons aged 14 and under on the day of skating. All children 8 years and under must be accompanied by an adult on the ice. One adult for every three under 8s. Family: A family ticket consists of 2 adults and 2 children aged 14 and under, or, I adult and 3 children aged 14 and under only. No exceptions can be made. Parent and Toddler: 11am – 2pm Monday – Friday up to Friday 19th December. Quieter sessions suitable for children aged 5 and under. Limited number of skate aids available to hire per session. 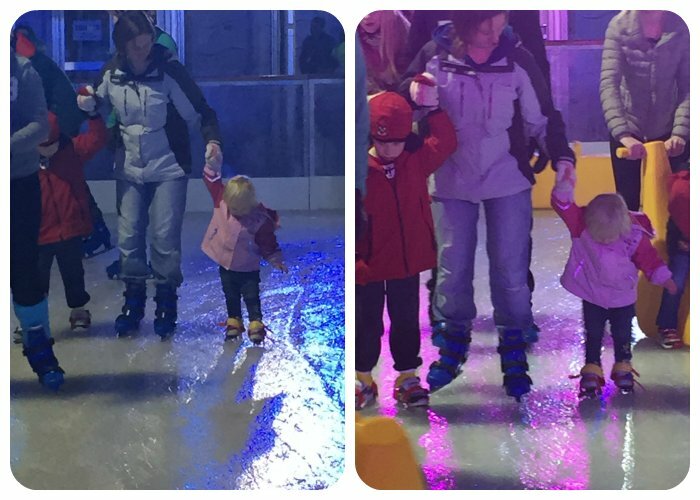 FREE ‘Bob skates’ available for toddlers – these strap over shoes and are more stable than normal skates. Please note: these sessions are not exclusively for parent and toddlers. Groups of 20 or more (for example brownies/scouts/ sports clubs/schools): 10% discount during off-peak sessions (excluding parent and toddler tickets). Please contact us to book a group session and claim this discount. Disclosure: We were provided with a skating session free of charge for the purposes of this review, All views and opinions are my own. It’s great that you got out and finally got to go Ice Skating like you promised JR. It looks like so much fun and I can’t wait to take my lot on our annual trip Ice Skating! LA looks so confident you’d think she’d done it before! Thanks for linking up with Country Kids. We went ice skating the other day too, using a seal aid. It was a bit of a pain really because I struggled to get N to try to skate, and I found it was agony to push and skae with for me. He did eventually have a go but wouldn’t even have a go with the aid, even though it wasn’t a particularly busy rink. Your 3 did brilliantly. Great fun, I love to skate but haven’t done it for years.